Back at the dawn of the personal computer age (well, as far back as I can remember – the early 1980s), Microsoft put their name on a flight simulator program for the IBM 286-compatible PC. Yes! Nothing else gave you the same thrill, as the 4-colour graphics slowly stuttered across your 12-inch CRT. “If flying your IBM PC got any more realistic, you’d need a license”, the box blurb assured you! Anyway, the graphics did improve, and MS ran with it for over 20 years before abandoning it to others to pick over, and a huge fan base still plays it today, under the moniker of “FSX” (Wikipedia history). My Dad, who spotted this first, and has played various FS versions for at least 15 years, has all the joysticks, throttles, radio panels etc, that make it realistic for him, but there’s still a large number of aircraft controls that are only available on your PC keyboard. 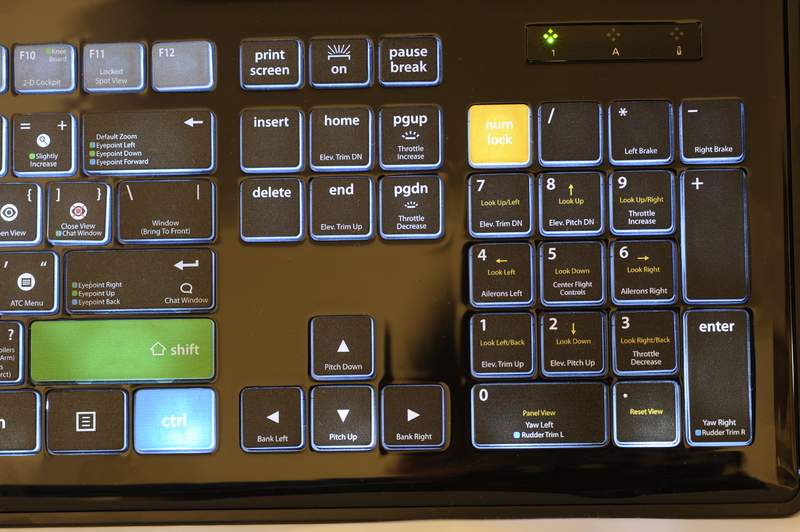 Until now, there’s not been any simple way to know what those are, so there’s clearly demand for the subject of my review today, the EditorsKeys Flight Simulator X Backlit USB keyboard. What’s so special about this keyboard? 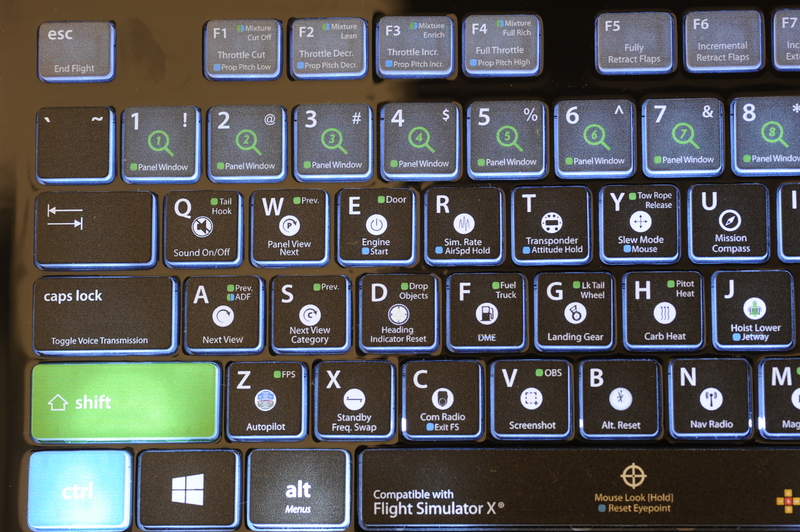 Basically, all the keyboard functions in FSX (and it’s licenced offspring, Prepare3D) are printed directly on the keys themselves, in addition to the bog-standard letters, numbers and symbols. 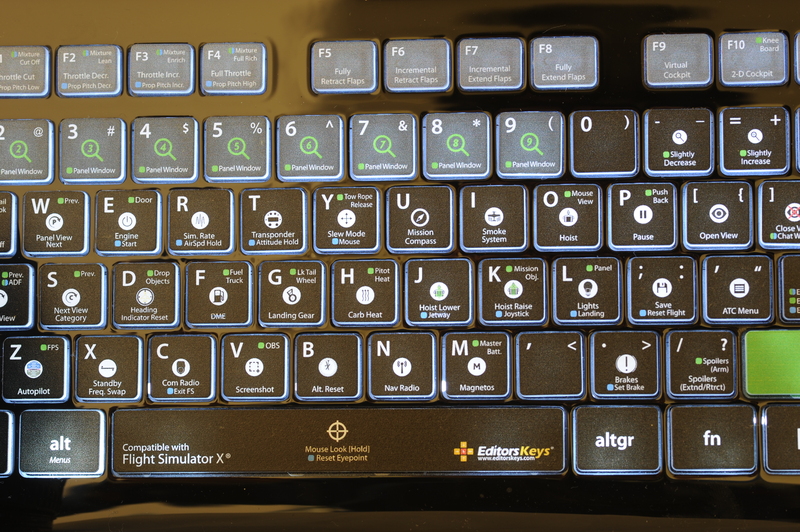 You can glance down at the keyboard, and see what each key is for, without having to look them up in manuals or reference cards, or pausing the sim to resort to the menu system. In most cases, there’s an icon as well as text to indicate the key function. 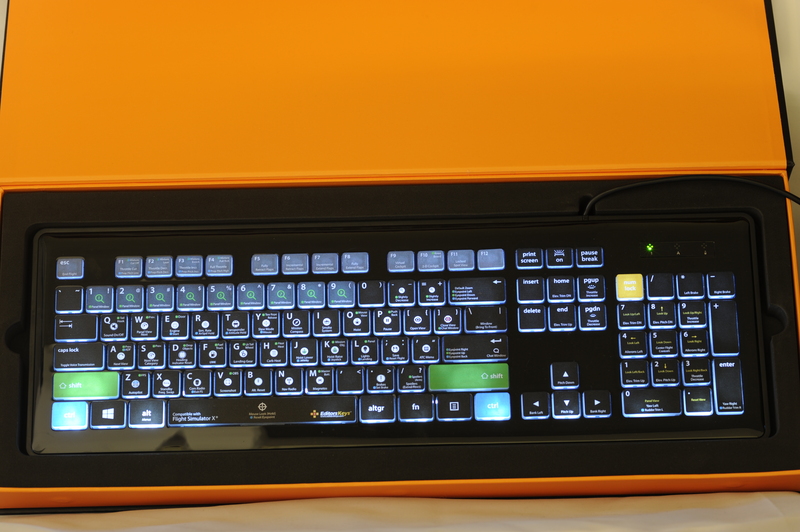 See how the CTRL, NumLock and Shift keys are given all one colour of blue, green, and yellow? Since some commands require the pilot to hold CTRL, NumLock or Shift to access them, those commands are printed in a matching colour on the keys themselves. That way, there are more commands packed-in per key, but you can easily see from the colour whether you need to hold down CTRL, NumLock and Shift at the same time. 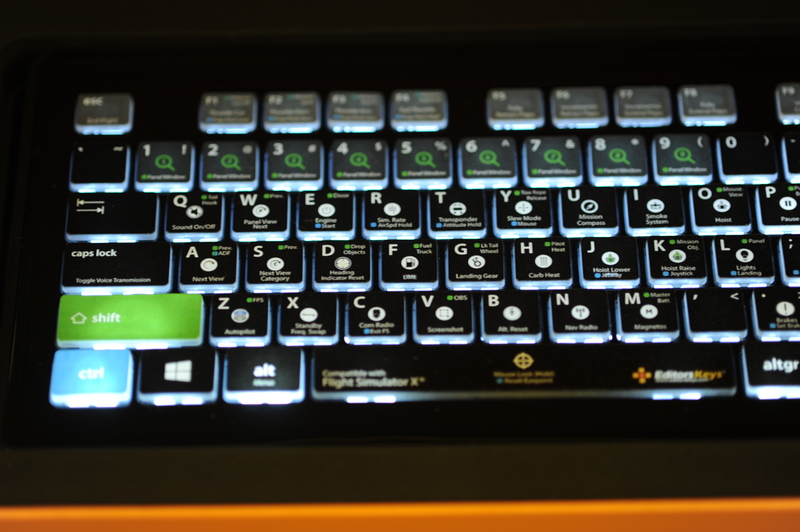 The keyboard itself has no special programming, so it can be used as a straight USB Windows keyboard for everyday use too – installation requires no custom drivers, so any recent PC will recognise it automatically. It’s switchable backlight was designed specifically for working well in low-light environments, something that the FS crowd were keen on, as many people like to fly at night. Dimensions are 61.5cm long by 15.5cm deep, 10mm thick at the front and 15mm thick at the back. Here in Australia, only the US layout is available, but you can buy the UK layout directly from EditorsKeys. 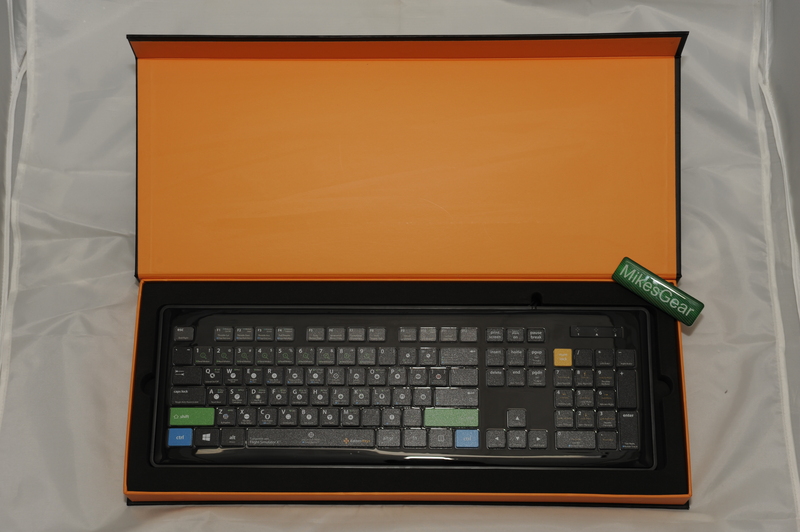 It comes in a sturdy cardboard carton with an outer sleeve that exceeds the protection offered by just about every other keyboard I’ve ever seen, but will still fit into a 3Kg courier satchel. 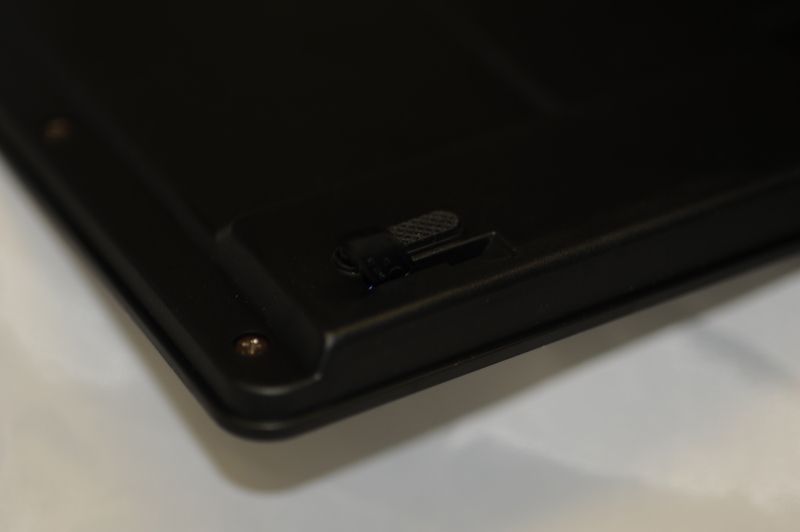 The interior is further enhanced with a foam cutout – there’s no manual or other stuff, just the keyboard with it’s permanently-attached 1.5m USB cable. Probably the best way to appreciate the functionality of this ‘board is to have a close-up look at the keys themselves to see what you get – the photos below are left-to-right – click to get a super-close-up shot of each. I recently Skyped with one of the ‘board’s originators – Peter Morch of EditorsKeys.com, who is based out of Denmark, and makes a variety of other bespoke AV design-software-centric keyboards with a Kickstarter background. 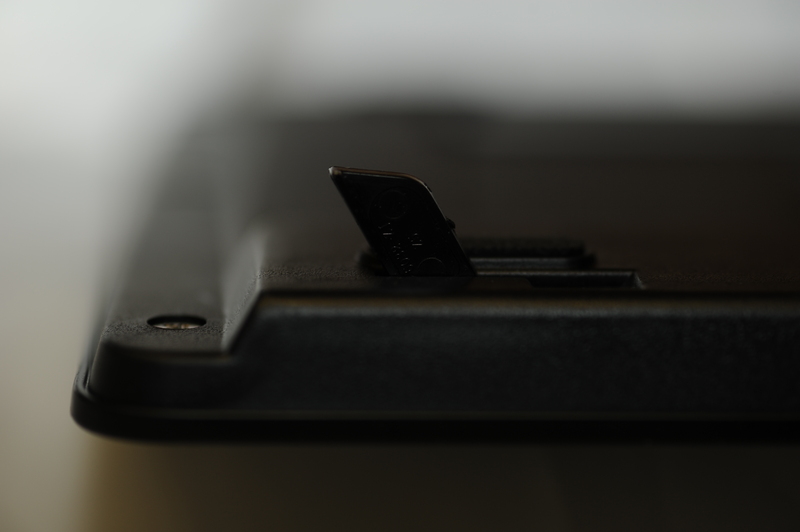 According to Peter, the blank EditorsKeys keyboard hardware is made in China to their spec, and then shipped over to Denmark for the labelling magic. Whilst he ferociously guards the actual mechanics of the key-label finishing process, presumably to prevent it from being knocked-off, the keys appear to be painted, with a durable multi-colour process that gives up to 4 colours per key. 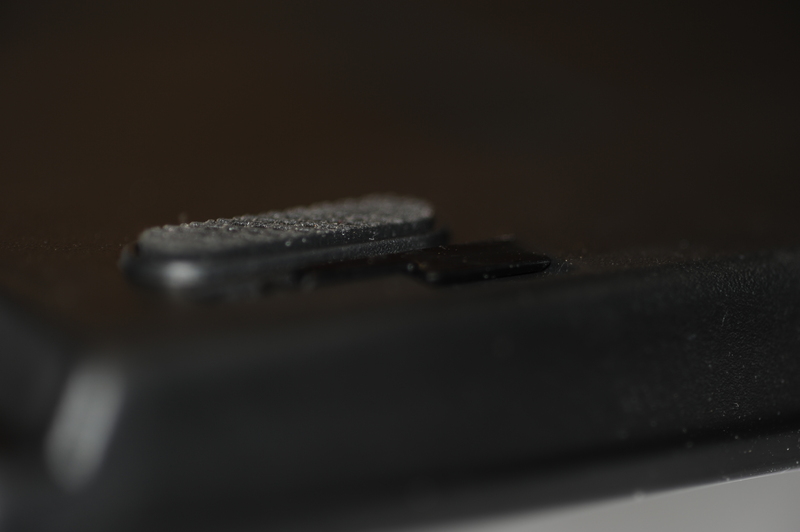 The quality of the finish is superb – no oversprays or missing sections, no blurring, uneven coating, or mis-aligned paint masks – the keys look perfect. In terms of feel, the keys have a short travel on a soft rubber-dome-like spring. They are dead flat, and very slightly slippery, so people coming from a mechanical keyboard would need to hold back the typing force a little till they are familiar. If you type on a laptop-style keyboard normally, this will feel almost identical. There’s a video available here. The EditorsKeys Flight Simulator X Backlit USB keyboard is sold directly from Peter’s site for EU customers, and also in the States, for USD 129 – with freight, that’ll come to over AUD $215, so you’d be better off ordering this locally if you are in Australia. It’s made in small batches, so stock availability will tend to come and go. This entry was posted on November 16, 2015, 12:42 pm and is filed under Keyboards. You can follow any responses to this entry through RSS 2.0. You can leave a response, or trackback from your own site.